Wish your friends, family, neighbors and colleagues a Merry Christmas with love for all animals. 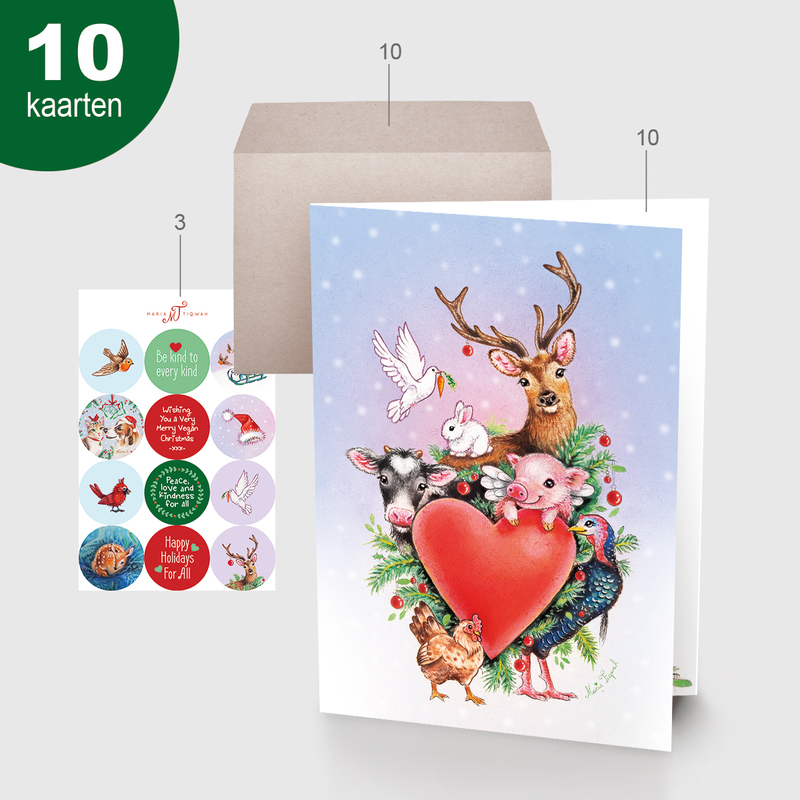 This set of 10 cards is printed on ecological paper made of sugar cane. 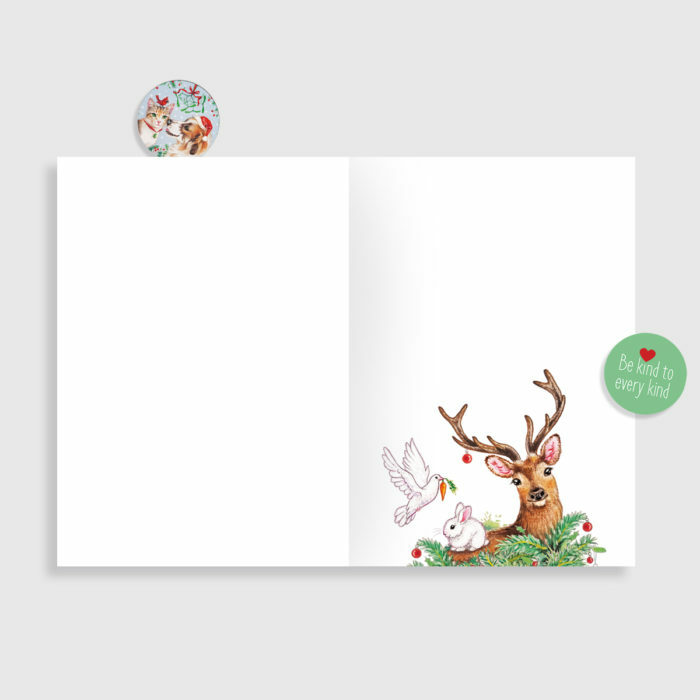 Christmas cards set of 10 cards. 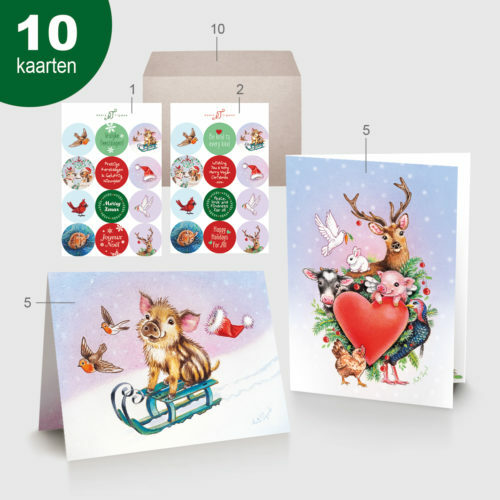 The Christmas cards are printed on 100% ecological paper made from sugar cane. So no trees have been cut for the card. 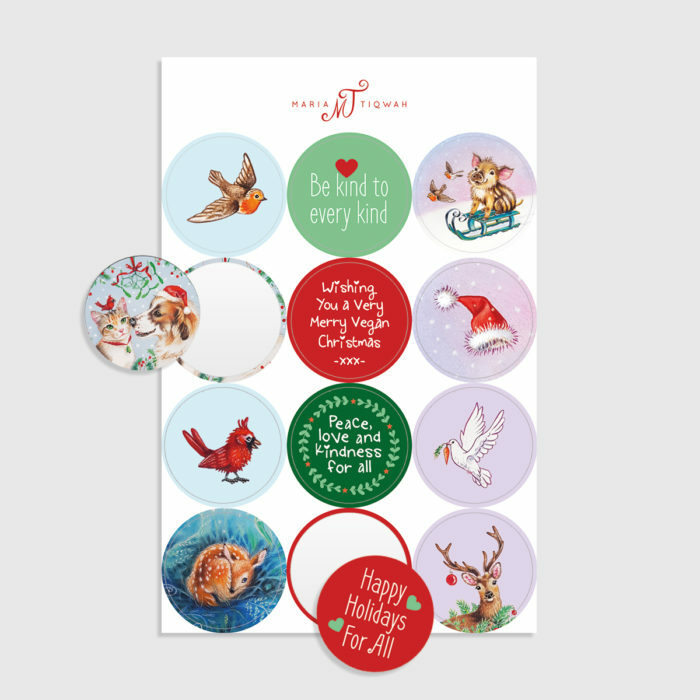 This set includes 10 recycled envelopes and 3 sticker sheets with 12 mini stickers each. 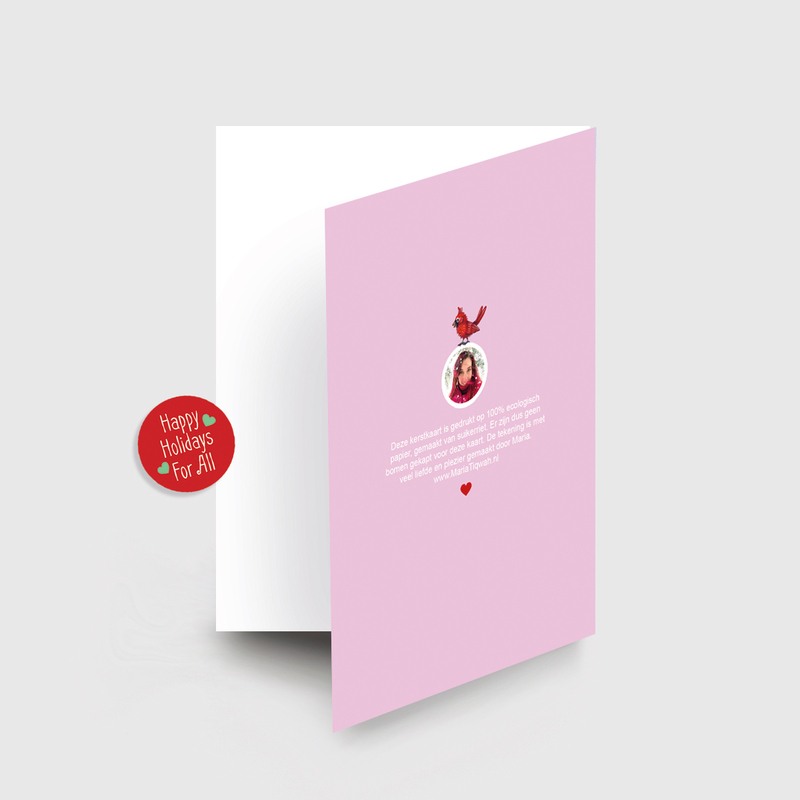 The size of the cards is A6 (10.5 x 14.8 cm / 3,9 x 5,5 inch) and they are also printed on the inside. 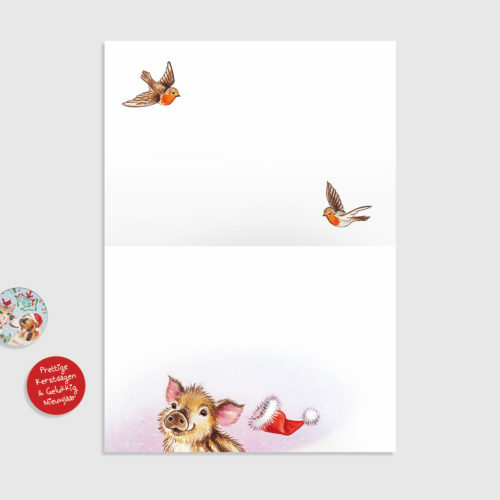 I have sent the most beautiful cards first, the cards that are ordered now have some small ink spots on the inside (see last picture). 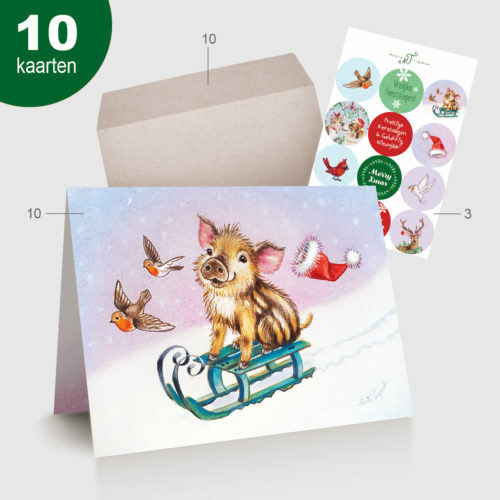 My inspiration to draw this card are of course the animals. 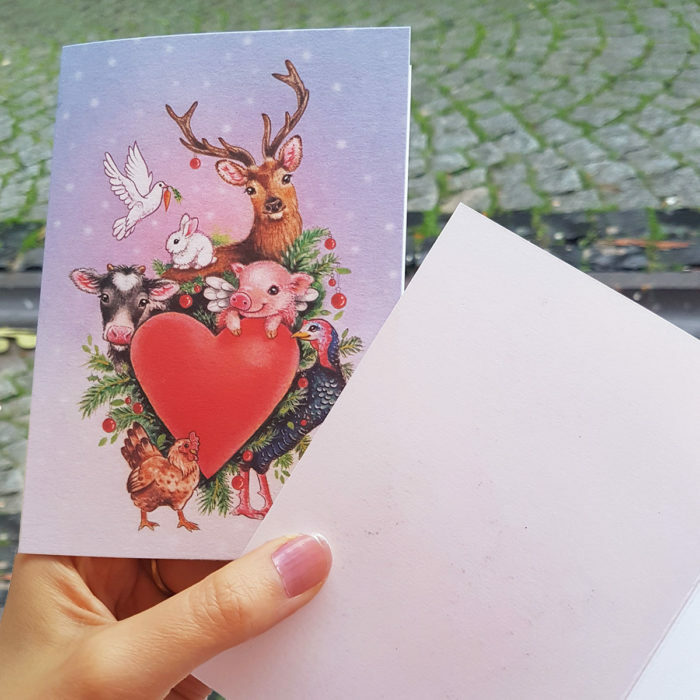 I am vegan and hope that this card will inspire people to treat animals with love and respect. The illustration is made with vegan materials; soft pastel chalk, watercolor paint and a white gel pen on paper. The original illustration is for sale and I also take commissions.